I’d known Lucas Radebe since he first joined Leeds United and had interviewed him many times. I thought he was a terrific footballer, a charming, funny if sometimes late man, and an exceptional human being. So when Barry Cox of Great Northern Books asked me if I’d be interested in writing a book with Lucas, I didn’t hesitate for a minute. The first decision was easy – it would have to be a biography rather than an autobiography because there was no chance of pinning Lucas down long enough to record all that would be needed. But neither would I be happy publishing a book that he didn’t want published, so I wanted it to be authorised by him. That turned out to be a great decision not only for my own conscience but because Gary Blumberg and the rest of ‘Team Lucas’ provided masses of material that I couldn’t have got from anywhere else. Even where the subject has a great memory and is willing to spend countless hours narrating them into a recorder, the secret of good ‘ghosting’ is still research. I lost count of how many hours I spent in Leeds Public Library going through microfilm of back copies of the Yorkshire Evening Post looking for any reference to Lucas or relevant Leeds United stories that would provide a context. It got a bit easier when I was invited to use the newspaper’s own archive which was searchable but I still claim the world record for reading reports by YEP sports writer Don Warters. 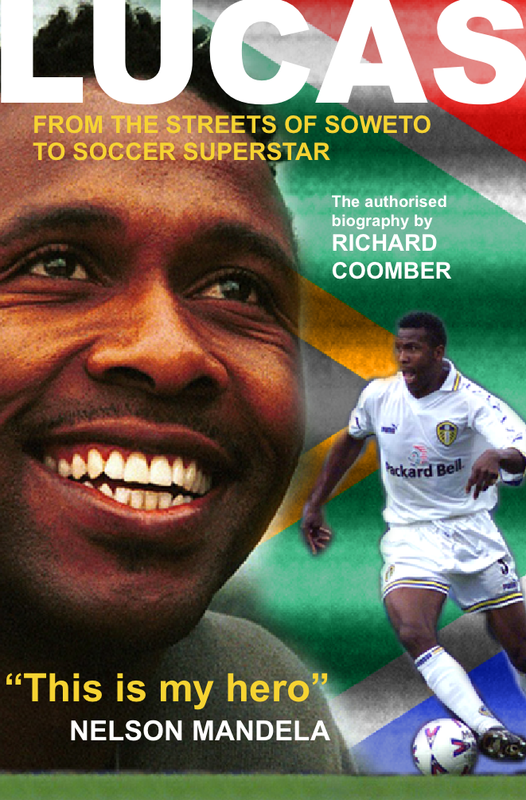 Then there was the South Africa story to understand – the apartheid and post apartheid regimes, life in the townships, South African football. Fortunately I found some superb books on Abe so at least I knew what questions to ask. The highlight, of course, was the research trip to Johannesburg even if most of it was spent in a basement room going through cuttings files from the Sowetan, Sunday Times etc. In between I had the good fortune to meet Tony Mangadi, a student doubling as a taxi driver, and he guided me round Johannesburg and took me to Diepkloof to see where Lucas had spent his formative years. I managed to get time with Lucas at his home and he generously took me to meet his family at his mum’s house which gave me some superb details only they knew. I’d already witnessed how popular Lucas was in England but then I got to spend an afternoon with him at a football tournament where he was presenting the trophy and his position as one of the most loved South Africans was clear. If I could get a pound for every time someone asks Lucas to pose in a ‘selfie’ with them, I would never need to work again. Lucas came to England to launch the book with some interviews and signing sessions. It was an overwhelming experience, especially the signing session in the Leeds United store. We’d got there early for him to do some interviews in the West Stand and made our way to the shop through the empty Elland Road seats. We went in by the back door and the shop was packed. 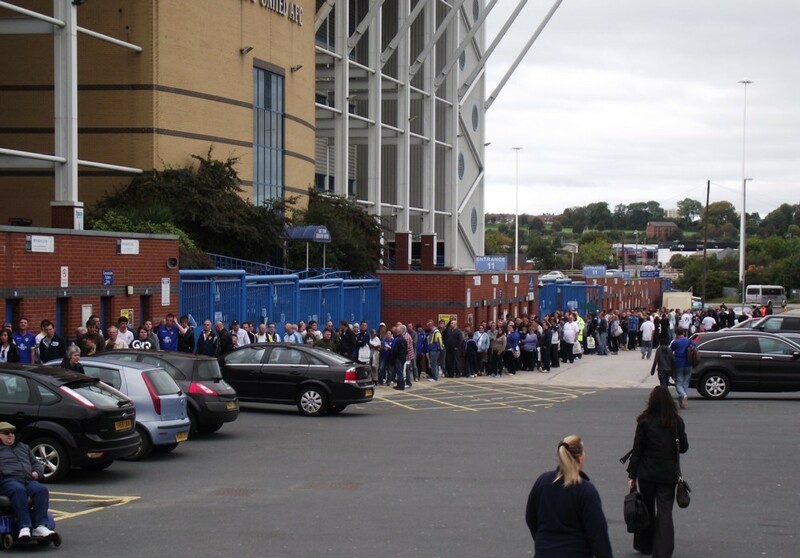 People were queuing out the door and when I went outside the queue stretched down the road beyond the East Stand. It had been five years since Lucas played his last game for Leeds yet he was still – and is still – one of the fans’ most revered players.